Price includes two manual radiator valves. Copper plated and aged for an antique effect. 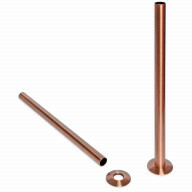 Solid brass manual radiator valve and lockshield set. Matching shrouds and base plates available separately. Exclusive to Castrads. 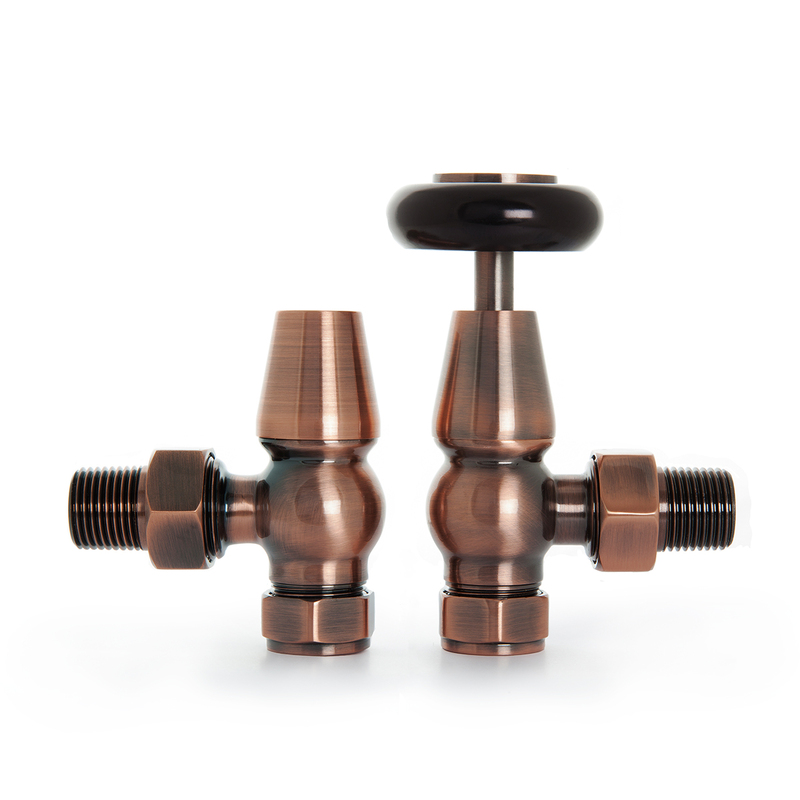 Manual radiator valve made exclsuively for Castrads finished in Antique Copper. Designed to complement Castrads cast iron radiators but equally elegant on steel column radiators. Half inch BSP to 15m compression. Bidirectional. Manuafactured to ISO 9001 and EN215. Five year guarantee. 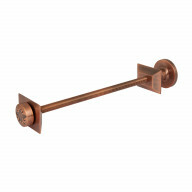 We recommend antique copper accessories with radiators painted in blacks and dark greys.